Web Trends 2015-2016 from UXPin showcases the 10 hottest trends in web design today with plenty of best practices. With rapid prototyping becoming a required design skill, interactive wireframes are becoming the best new method for preventing usability issues as early as possible. By bridging the gap between static and interactive design, they offer the speed of wireframing with the power of prototyping. 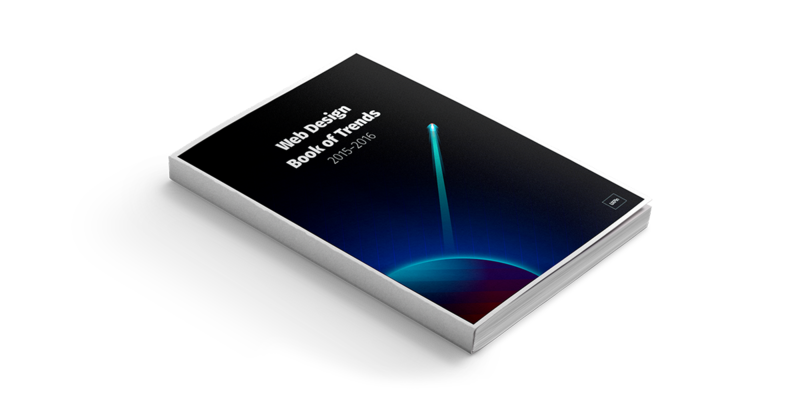 Web Design Trends 2015-2016 covers the 10 most popular — and most useful — design trends now and in the foreseeable future. These techniques are explained through 166 examples from top companies including Google, AirBnB, Squarespace, Dropbox, Dribbble, Intercom, Apple, and Spotify. The book is equal parts eye candy and practical manual. It’s thorough, but reads quickly since it focuses on describing tips and techniques for each trend. Take a look, and feel free to share if you find it helpful. You can Download it here.